No. 4: DALE WATSON AND HIS LONESTARS – EL RANCHO AZUL: It’s hard to go wrong with Dale Watson’s Texas honky tonk music for old farts and jackasses. No. 3: STURGILL SIMPSON – HIGH TOP MOUNTAIN: Simpson has a soul that country music lost somewhere around the mid-1980s. His first solo record is a very old-fashioned, but fresh sounding set of songs influenced heavily by the outlaws of the 1970s, but given his own stamp. No. 2: FIFTH ON THE FLOOR – ASHES AND ANGELS: The follow-up to Dark and Bloody Ground did not disappoint. I stand by my assessment that Fifth on the Floor is the best thing going in Southern rock these days – great songwriting, a nice mix of driving rockers and contemplative pieces, and a sound that’s not quite like anyone else. No. 1: SHOOTER JENNINGS – THE OTHER LIFE: As much as I love Electric Rodeo, the more that I listen to The Other Life, I think it might be Shooter Jennings’ best work to date. The record encapsulates pretty much everything he’s ever done, from Southern rock to country in the style of his father to even the experimental rock of his Hierophant project. HANK III – BROTHERS OF THE 4×4/ A FIENDISH THREAT (no release date): A new country record and a new hellbilly record on the horizon for III. I’m really looking forward to hearing some new hellbilly stuff from him, and I hope that the country record will be a little more interesting than the disappointing Guttertown/Ghost to a Ghost release. HELLBOUND GLORY – LIVE FROM NASHVILLE/ ‘MERICA (no release date): Part of Live from Nashville is already available, as the band has opted to do something interesting and release it as a YouTube album. Once a goal for views is reached, they add a new song. About half of it is available. As for ‘Merica, planned as a series of EP releases, there’s no word on a date yet, though a single, “The Feud,” has been released. 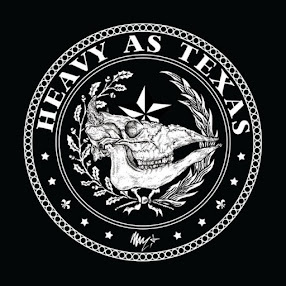 It’s a bit more of a big, electric Southern rocker than I’m used to from the band, and I hope the rest of the record is more along the lines of some of their previous work.